Are Water-Based Wipes A Skin-Friendly Option? Posted On August 04, 2018 by Team iCynosure. Every evening I find myself too tired to go through the extensive routine to remove my makeup and cleanse my face as is required. Some days I make the effort to do the needful while there are days when I head straight to bed with my makeup still on. Yes, I know it is harmful to my skin and that my skin will need much more work in the future to repair the damage that is caused. But I’ve still not relented. When my sister heard about this, she suggested I start using wipes for my makeup routines to make my life simpler and easier. However, before venturing into the world of wipes as a beauty tool, I spoke to a few makeup experts whether or not wipes were a good option for skin cleansing. 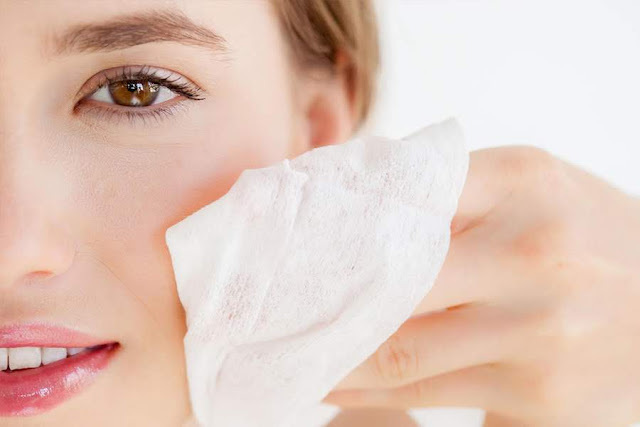 Most experts were of the opinion that if one wears light to medium makeup, skin-friendly natural fabric wipes are perfect to cleanse the skin and suggested to invest in water-based wipes. as they are formulated for sensitive skin and do not leave any residue after use. An important point that is to be ensured while using wipes id to use the proper swiping technique that is from the centre of the face and moving outwards, making sure that no part is missed including the hairline or jawline. No sooner did I start using wipes I realised that there are so many more advantages to using water wipes as a beauty tool and how they can transform the beauty regime and become a must-have skincare essential. All wipes, especially facial wipes are produced with mild cleansing ingredients that would work perfectly to remove makeup. Since water-based wipes are recommended, the goodness of pure water and natural plant fabric cotton make them the most skin-friendly and eco-friendly product to use. Water Wipes are made from natural plant fabric and the absence of harmful ingredients like alcohol and parabens ensures that they are mild and gentle on the skin, and prevents any allergy and rashes. Additionally, I prefer products that are Dermatologically Tested and Clinically Proven to be hypoallergenic and have pH balance properties. Water Wipes also work as a hydrating agent for your skin while cleansing it as the water content in the wipes ensuring that the skin doesn’t become dry. Leave a wipe over the face for 3-5 minutes, gently pressing it into the skin for a skin-benefitting gorgeous glow. If you’re still not convinced you should use Mother Sparsh’s 98% Water Based Wipes in India and see the difference yourself. Water wipes do seem to be a much better alternative! How wonderful! I love using face wipes like this. I also find it easier to use a makeup wipe at night to.